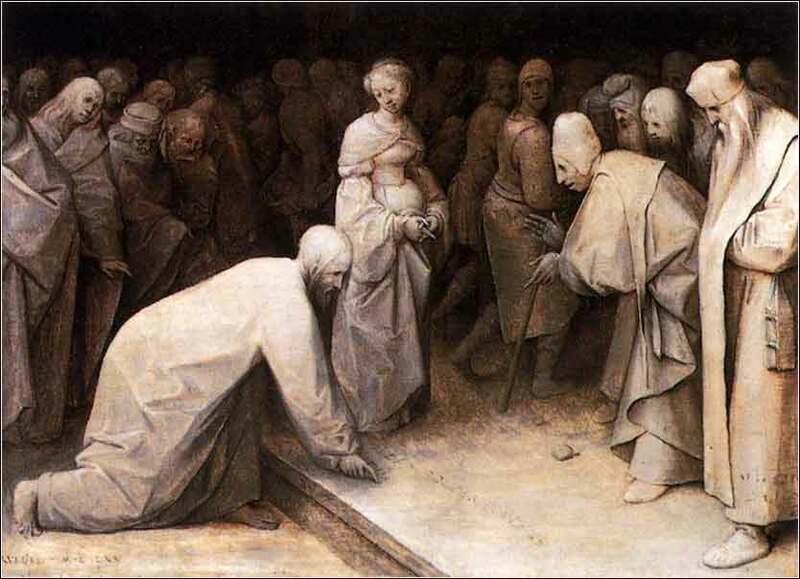 Christ and the Woman Taken in Adultery by Pieter Brueghel ca. 1565. 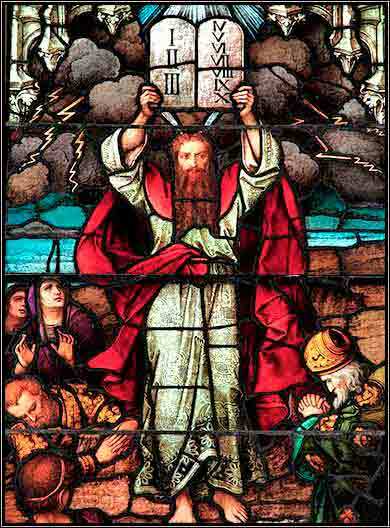 Moses and the Ten Commandments, window in the Cathedral of St. Paul, Pittsburgh, by Franz Mayer. And Jesus said to them, “Can the wedding guests mourn as long as the bridegroom is with them? The days will come when the bridegroom is taken away from them, and then they will fast. The danger in patching an old weathered garment with a piece of new, unshrunk cloth is obvious. The new wine analogy is perhaps a little harder to follow, and richer in meaning. Like many ancient peoples, the common Israelite did not make wine in bottles, but in watertight skins. When grape juice ferments, it gives off carbon dioxide and expands. Fresh leather is supple and can expand; and so vintners learned quickly to ferment wine in new leather skins, because as leather ages it becomes hard and rigid; it cannot expand, and will explode like an unpierced baked potato if one tries to ferment wine in it. This apparent contradiction confuses many Christians (and practically all non-Christians) terribly. What exactly does the Old Testament mean to us? Do its many laws apply to us or not; and if so, which ones, and especially: why? Part of the answer lies in the words, “new wine cannot be made in old skins”. The law is fully functional; Christ said this specifically. But it had become rigid in its practice, as hidebound as an old wineskin. To try to fit Christ's teachings into it simply would not work. The old wineskin, the law of Moses as practiced by the Jews, would be destroyed by the expansion of the new wine of Christ's word. But the “new wineskin” is still the law of Moses, for the law of Moses is the law of God. The fundamental meaning of every single law, even the ones that sound utterly ridiculous to us today, is still with us. Not “one iota” of them has been abolished. But the way in which the law is practiced changes. In Christ, the law transforms into what we call “morality” rather than an elaborate set of literal rules of conduct. This is why reading and understanding the Old Testament thoroughly, and understanding how it interrelates with the New, is so important. For anyone who is new to this, and feels thoroughly confused, here is one very quick example: Exodus tells us that both parties to adultery must be stoned, i.e. executed. E.g., Deuteronomy 22:22. The law remains in full effect. Adultery transgresses a specific law of God, and the penalty is death. So why do Christians not stone adulterers? Because judgment of the sin has been taken away from us and made the sole province of Christ. We, as sinners, will not be allowed to judge. “Let him who is without sin cast the first stone.” (John 8:7) Judgment has been co-opted by Christ, who will judge all people, living and dead, in the Last Days. 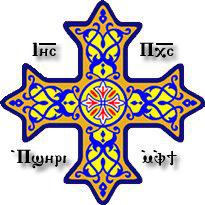 And, of course, it is also within the province of Christ to forgive the sin.